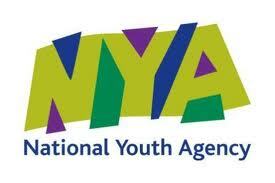 CYM Youth Work programmes are endorsed by the National Youth Agency (NYA) on behalf of the Education and Training Standards Committee (ETS). This endorsement, which may be a youth support worker, gained through our Equip Youth Work programme, or JNC qualification, gained through some of our Higher Education programmes, gives access to CYM Associate status; a national recognition of your commitment to excellence in ministry, mission and professional practice with young people and children, their families and communities. CYMs JNC endorsed programmes validated by Staffordshire University, and delivered in Ireland are endorsed by NSETS, the body that endorses professionally qualifying Youth and Community Work programmes in Northern Ireland and the Republic of Ireland. This endorsement, which can be gained through the BA Youth Work, Communities and Practical Theology gives access to CYM Associate status; a national recognition of your commitment to excellence in ministry, mission and professional practice with young people and children, their families and communities. CYM Endorsement for Mission, Ministry and Professional Practice can be gained through all of our programmes, and gives access to CYM Associate status; a national recognition of your commitment to excellence in ministry, mission and professional practice with young people and children, their families and communities.